With their upright stance, smart tuxedo appearance, and comic dignity, puffins are amongst the most easily recognized birds in the world. They are charismatic avian megafauna. Indeed, someone once remarked that if you don’t like puffins you should seek urgent medical attention. 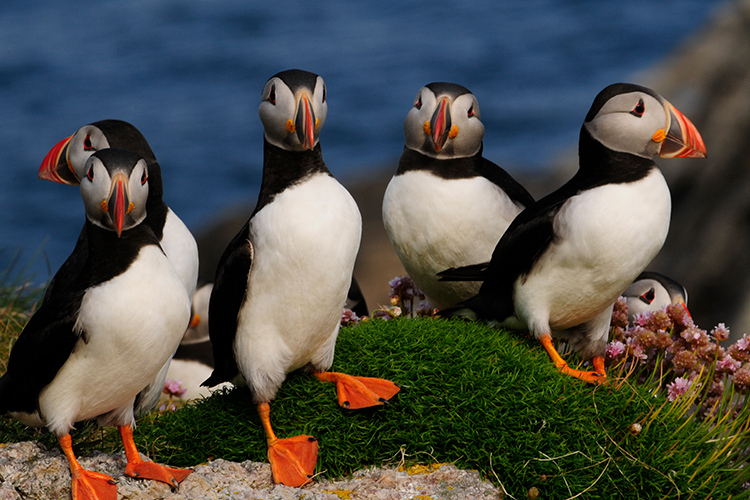 There are just three species of puffins in the world. The best known is the Atlantic Puffin that lives in its namesake’s ocean with the Horned and Tufted Puffins confined to the North Pacific. Adults of all three species are colorful, with black and white plumage, clown-like faces, and bizarre, colorful bills that have earned them the alternate name, sea parrot. The most numerous puffin is the Atlantic, which just 20 years ago was estimated to number over 10 million birds, ranging from the coast of Newfoundland and Maine east to the British Isles and Scandinavia. The rarest of the trio is the Horned Puffin with just 1.2 million pairs. But these beloved birds are in trouble, victims of global climate change and dwindling fish resources. Since the turn of the century some populations have been in precipitous decline. 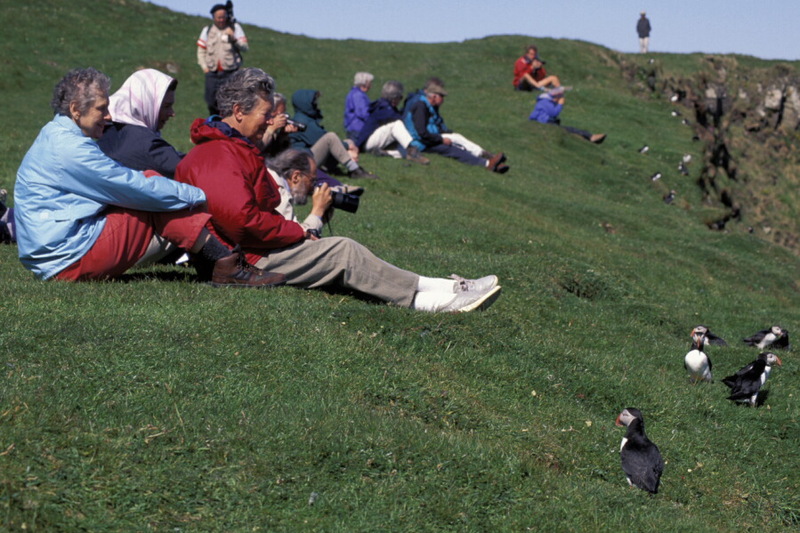 This has scientists worried as puffins are exponents of the “live slow/die old” strategy. They can live to ages of 30 years and over, normally raising a single chick a year. But that is all changing. At some colonies both adults and chicks are dying, and numbers are plummeting. 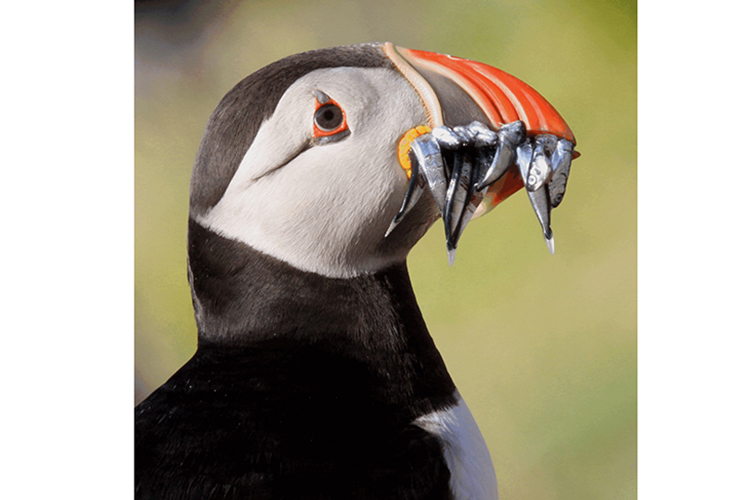 Recent research blames the puffins’ demise on global climate change, which has raised sea surface temperatures and has led to a collapse in the numbers of their favorite food, the silvery sand eel, which is paramount to the puffins’ survival. In a normal breeding season, an average puffin will usually feed its chicks over 2,000 sand eels in a 60-day fledging period. With fewer and fewer sand eels, the adults are having to fly farther and farther, the birds working harder and harder, with ever more chicks being abandoned because of lack of food. There is good news, however. In some areas, puffins have actually been on the increase in recent decades and this is certainly true in parts of Maine and Newfoundland. 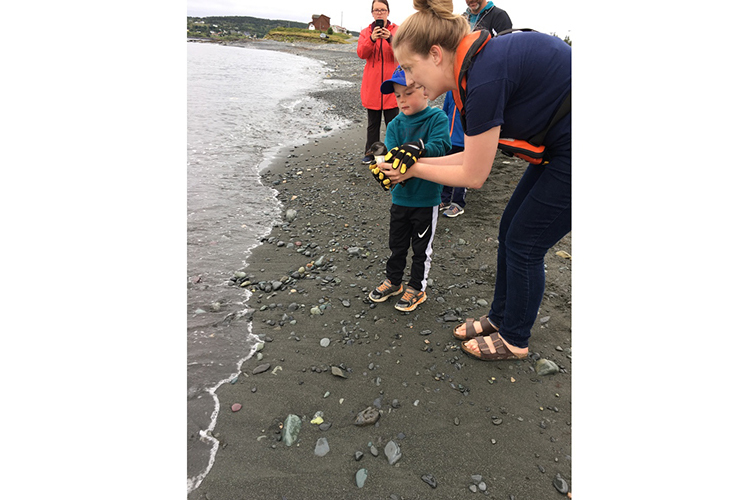 In these areas, literally hundreds of locals have formed “Puffin Patrols” that collect fledgling puffin chicks which have been attracted to artificial light sources during their inaugural flight. The birds are rescued and held overnight for eventual release to the oceans. This has proved to be a wonderful and positive experience for young and not-so-young alike. 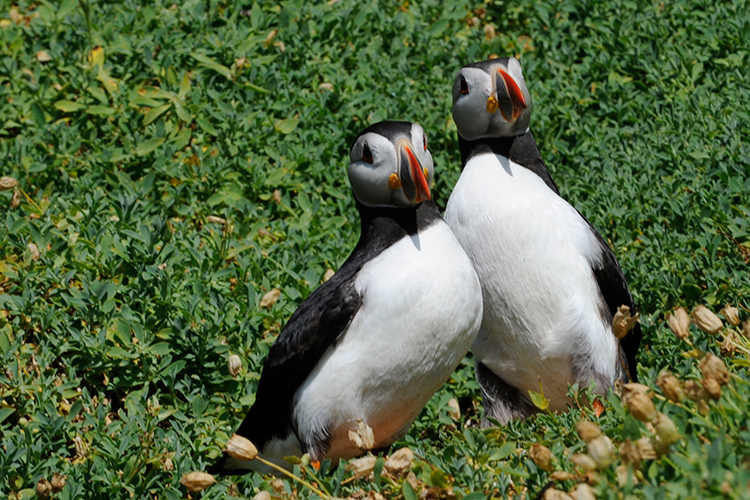 Apex Expeditions is thrilled to announce several upcoming voyages where you are guaranteed to see puffins up close and personal with all their charm and courtly ways, not by the tens or hundreds but by the thousands. Our May 2019 British Isles voyage promises puffins galore. Also, in 2019, our June Newfoundland departure offers excellent opportunities to view puffins and other seabirds at the height of their breeding season. 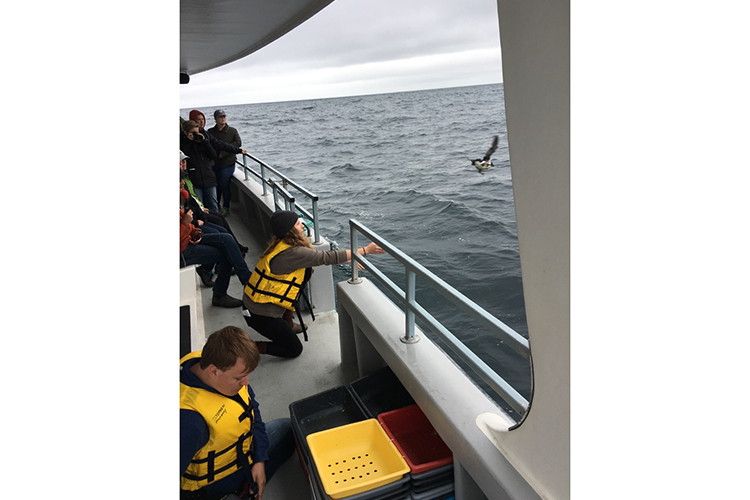 In 2020, in June and July, Apex’s much anticipated Sea of Okhotsk voyage will yield two puffin species, plus clouds of colorful relatives including Whiskered Auklet. This promises to be a spectacular wildlife experience with birds so numerous they look like swarms of locust.